Show off your brand and keep drinks nice and cold with personalized beverage holders from Promotion Pros. Our custom beverage holders come in a range of bright colors, with fun features like drawstrings and zippers to keep bevies snug, and novelty covers that look like baseballs, basketballs and footballs for sports fans. The Kan-Tastic with Bottle Opener is a small giveaway that will have a large impact on customers, with its utility and compactness. Add your business logo and tagline to the wrap and enhance your brand’s image. 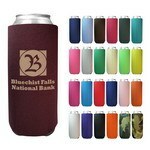 Keep your drinks cool all time with this Tall Boy Coolie and take a refreshing swig of your favourite drink. This bottle /can cooler is made of high density foam to keep your drink cool for an extended period. Our branded 60 oz. plastic pitcher is molded with very clear plastic and has a 4x4" imprint area. The promotional 64 oz. stackable pitcher are great to use at festivals and parties for bar promotions. Invest in this standard sized 12 oz. 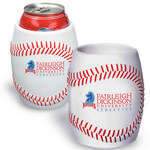 Baseball Can Holder to impress all your customers! Built using tough, polyurethane material, it measures about 4-1/2" tall; 3" bottom dia. 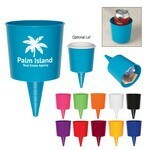 Our Beach Nik Holder designed with cone shaped insert that can hold drinks, wallet, keys, cell phones, and many more. It is available in several bright, catchy colors. 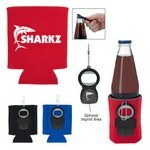 It has Non-Slip grip for a perfect hold over your drinks. Easily fits standard can and keep chilled for long time. All cans have the same shaped bottom. The beer blizzard fits them all. Use it with a coolie for maximum cooling. This custom product will keep your drinks cool for a long time. It’s easy to carry whether you are in Picnic, Travelling or Boating.